The Healio: Orthopaedics Today app covers updated topics in all orthopaedic specialty areas and has relevant health policy, business practice, and industry information important to anyone involved in orthopaedics. 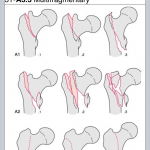 Orthoclass is a classic medical app which contains a wide range of useful evidence-based information which is accessible at the point of care without the need for an Internet connection. 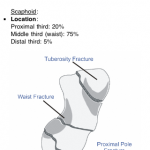 Orthopaedic surgeons and other healthcare professionals will find this application incredibly useful and helpful for accurately diagnosing and classifying various fractures. 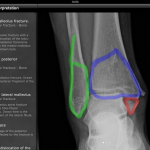 Ortho Traumapedia is a bare bones app that covers essential orthopedic injuries, but stands to benefit from additional multimedia.